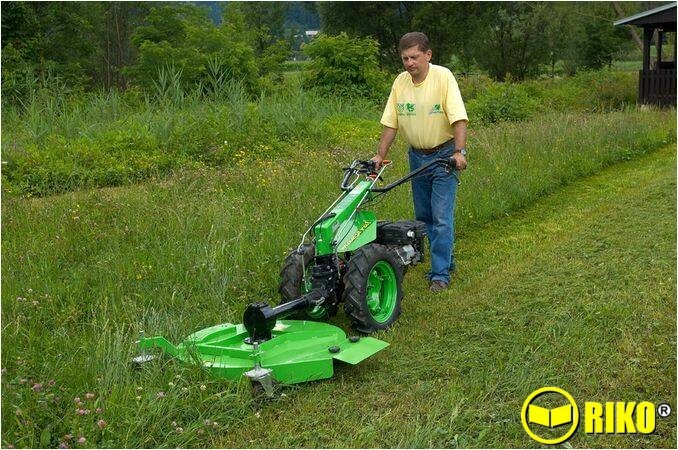 ﻿Driven by the PTO of the motor mower / 2-wheel tractor, this attachment has rotating blade(s), with a cutting width from 50 to 90cm and is also attached to the front of the power unit. 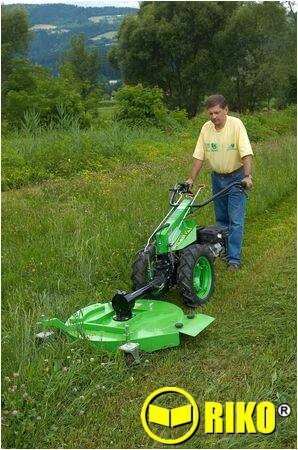 The blade(s) is horizontal to the ground, like a normal domestic lawn mower, the body is relatively enclosed and is side discharge or has a collector. It has two wheels at the front that adjust in height for varying the length of cut, as the wheels rotate freely this also aids steering. 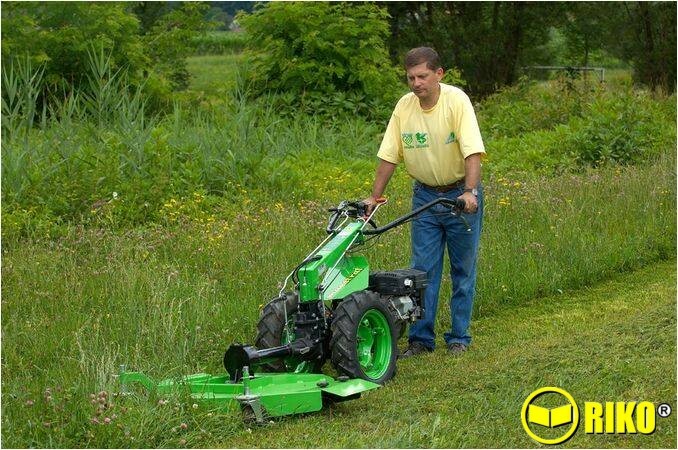 As the mower is side discharge or fitted with a collector, the grass is not held very long inside the mower and therefore it does not mulch the material very much. 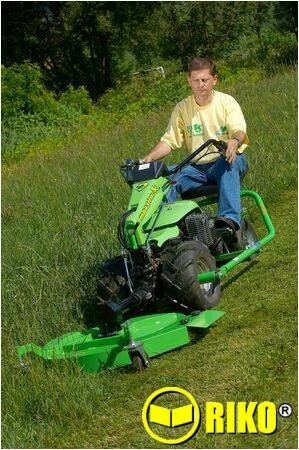 It is ideal for mowing large areas such as parkland where the grass is not overly long and a particularly short cut is not required. The blade is sandwiched between two clutch plates, this helps protect the transmission and the power unit in the event an obstruction is hit. The transmission is fitted with an ‘overrun’ clutch so the blade freewheels when you disengage the drive to the mower. 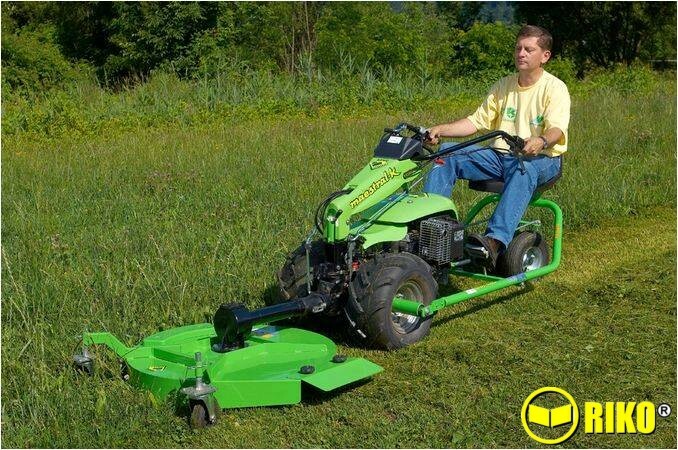 Importantly the transmission is also fitted with a quick coupling that enables the mower to be easily put on and off the machine. 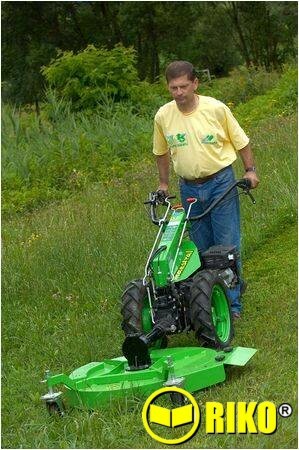 This makes it very easy to handle over undulating ground. Again the trailed seat attachment can be used.